The RCTC Art Gallery, located in room CC200, features artworks from students, faculty, and visiting artists on a rotating basis. 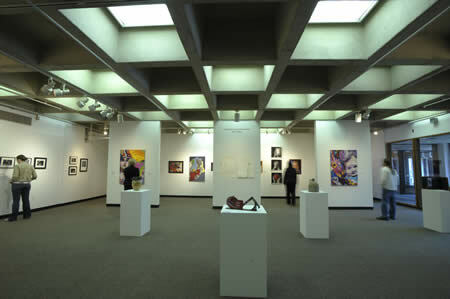 Additionally, many pieces from the RCTC Permanent Collection are on display throughout the campus. The RCTC Gallery is made possible with support from Rochester Community and Technical College Art+Design Department and RCTC Student Life.